Our Custom Wood Countertops Blog features the industry’s most talented and innovative designers throughout the United States and abroad. This featured design includes a Distressed Sapele Mahogany Countertop designed by Darlene Somrak, CKD, of Somrak Kitchens. 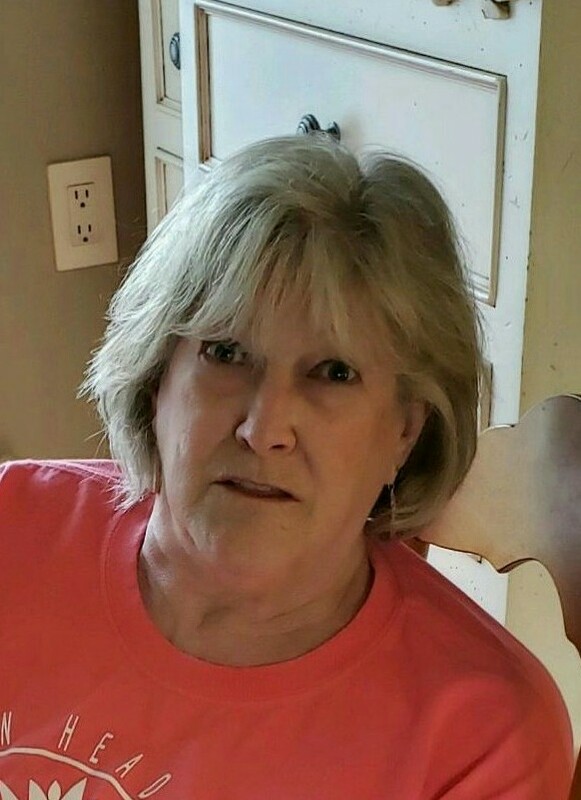 About the Designer: Darlene Somrak has worked in the kitchen design industry for over 43 years. With the majority of her clientele coming from referrals, her work speaks for itself. She enjoys a challenging space to use her years of knowledge and experience to design a functional and practical living space. Other Items, Comments or Advice: Work with a professional at all times during the design process! 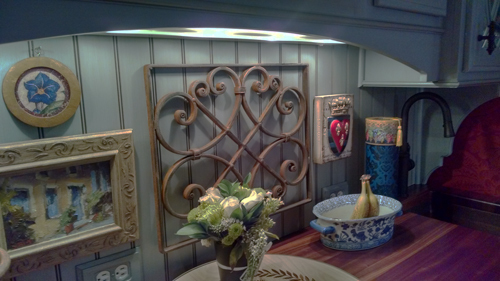 Check out more designs by Darlene by following her on Houzz! Learn more about Distressed Sapele Mahogany Countertops by visiting our website. Our Custom Wood Countertops Blog features the industry’s most talented and innovative designers throughout the United States and abroad. 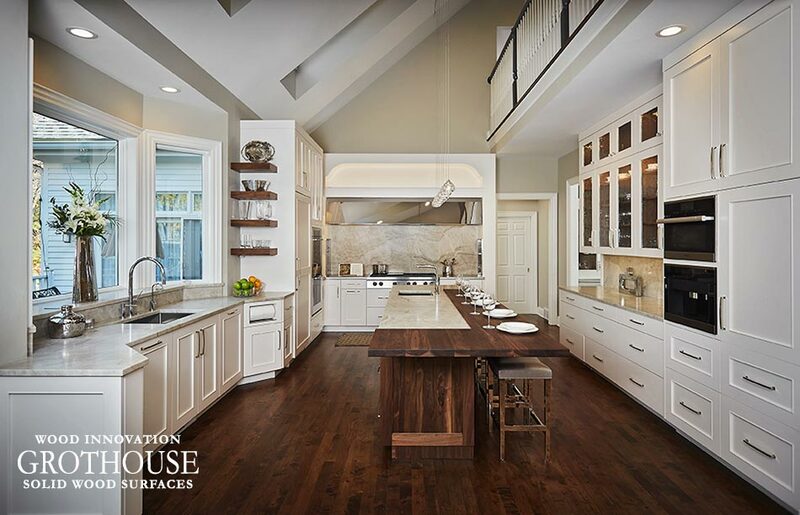 This featured design includes a Distressed Walnut Countertop designed by Natalie Spiniolas of Geneva Cabinet Company. 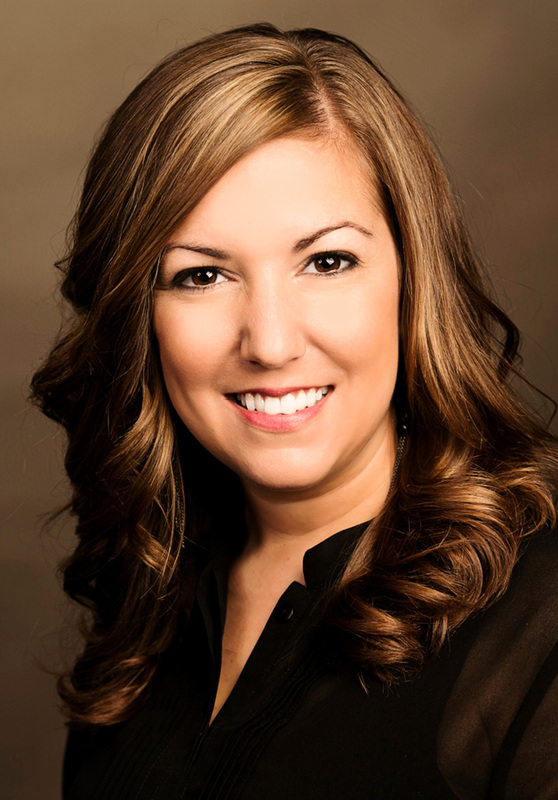 About the Designer: Mother of two you enjoys traveling and spending time with her family. Has been to over 30 countries and finds inspiration and beauty in architecture from around the world. Has a bachelors in Interior Design and has been specializing in kitchen and bath design for 17 years. Enjoys implementing visual texture and laying materials in a space to create warmth and beauty. Designer Tip: To create visual interest layer materials and finishes. In this space we hand planed and heavily distressed the Grothouse walnut countertop to give dimension to the beautiful wood countertop. This feature mixed with stone, metal and multiple wood finishes we create a balanced and pleasing aesthetic. Other Items, Comments or Advice: Custom wood hood to match serving island and beams. Don’t forget about your ceilings, they are as important as any other surface. In this space we used columns and beams to create interest and soft space division. Check out more designs by Natalie by following her on Houzz! Learn more about Distressed and Hand Planed Wood Countertops by visiting our website. Create a space with visual drama and versatility by mixing kitchen countertop materials. Choosing the right materials to mix requires balance and color coordination throughout a space. 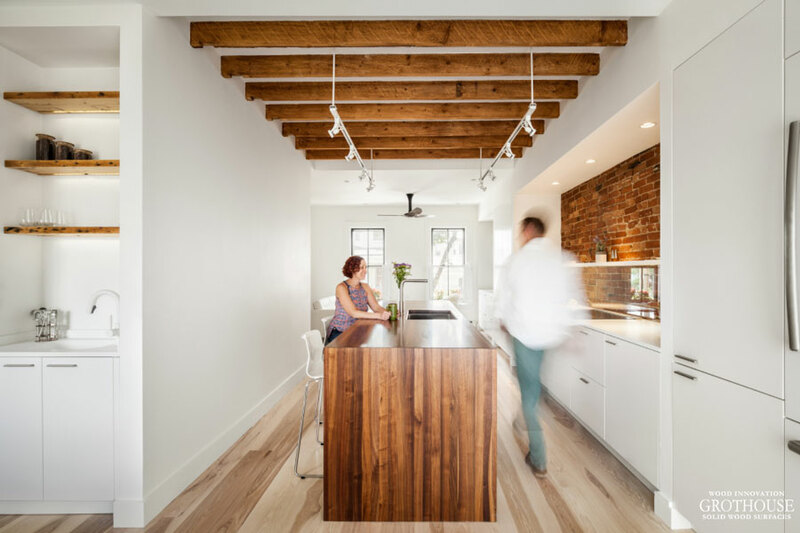 For instance, if you have a wood floor or wood ceiling beams, you could balance it out with a wood counter for seating and a stone counter for food prep. 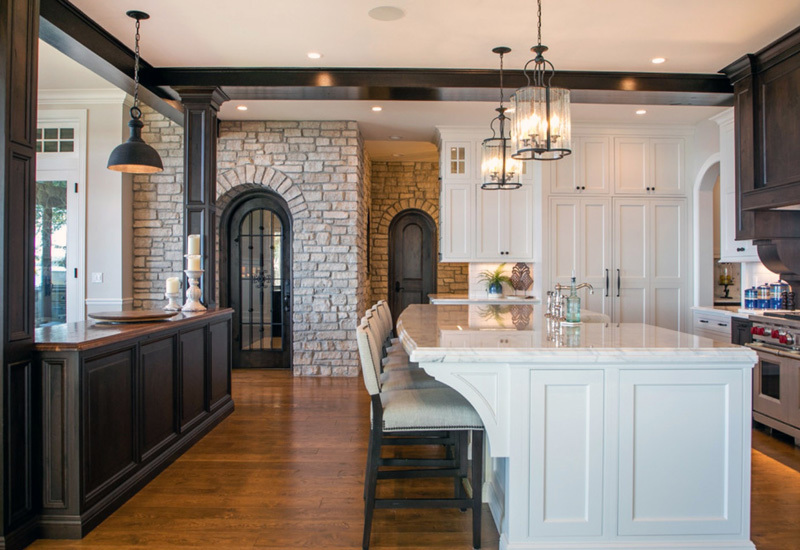 Conversely, if you have a kitchen with stone flooring and stone backsplash, you may want to consider designing a large wood countertop for the island to add some warmth to the space. Downsview Kitchens designed this luxurious kitchen to feature a large island with a Wenge wood countertop combined with a marble counter. 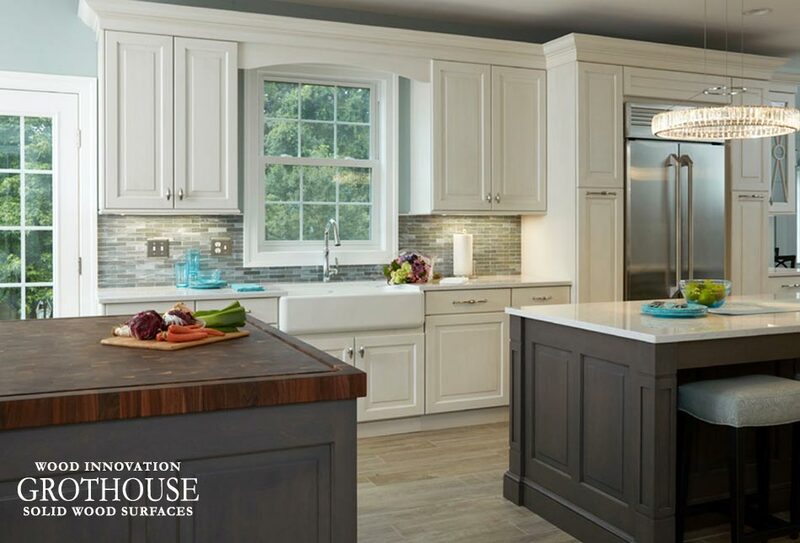 The contrasting colors in the countertops complement the slate blue walls and dark wood cabinets. 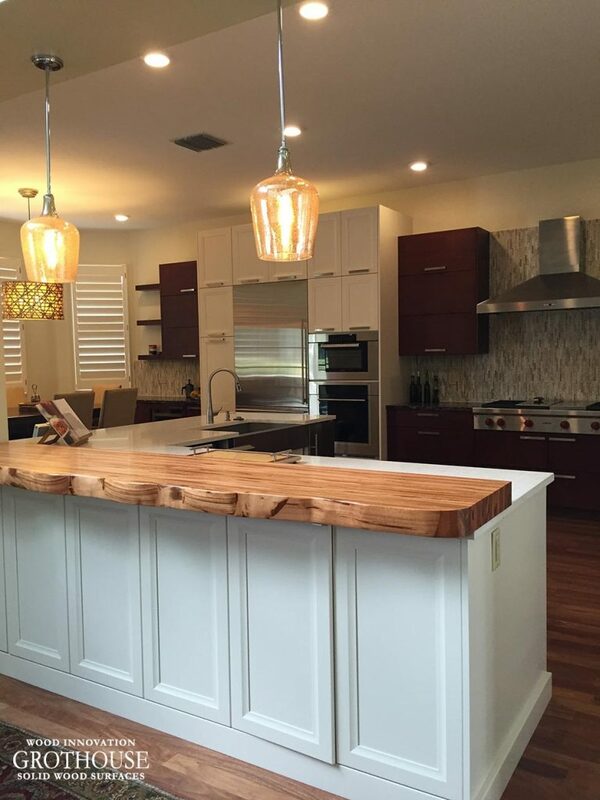 Melissa Sakell – Designer, Kenwood Kitchens designed this kitchen to feature two islands. 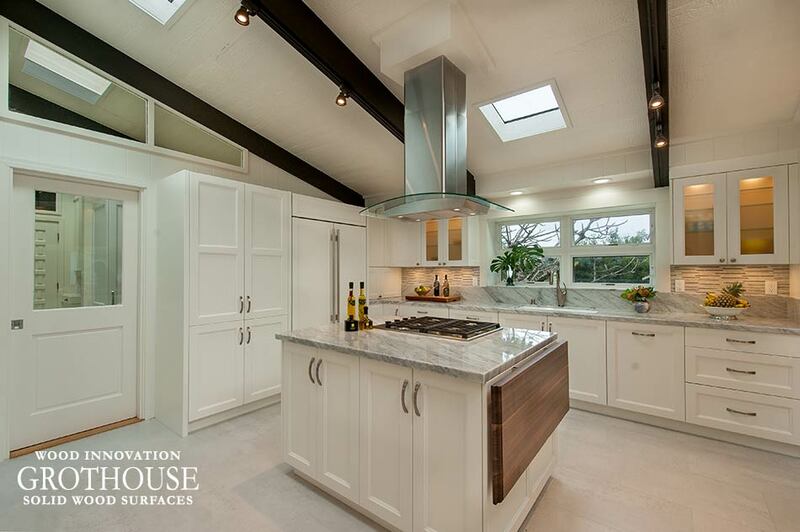 One island has a white stone counter, while the other has a Walnut butcherblock countertop. The white stone counter matches the white cabinetry along the wall, while the wood countertop brings warmth to the space. Archipelago Hawaii designed this kitchen to feature mostly stone countertops. 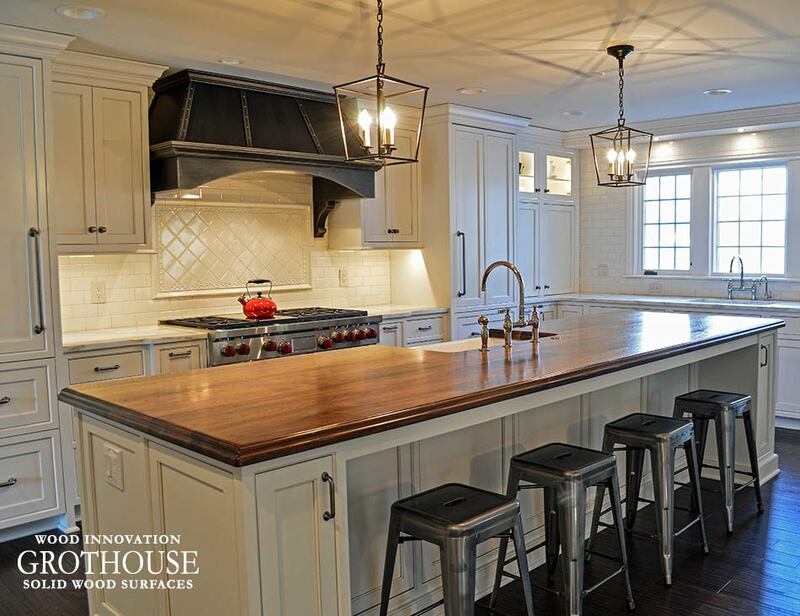 To add warmth, they incorporated a Walnut dropleaf countertop to the end of the island. This creates the perfect place for additional food prep space if needed, or a place to enjoy breakfast in the morning. The tones in the wood tie into the ceiling beams. Visit the Countertop Image Library on our website to see more designs with multiple countertop materials. Countertop surfaces can be tailored to functions, so whatever your style, there’s room for mixing kitchen countertop materials in your home. 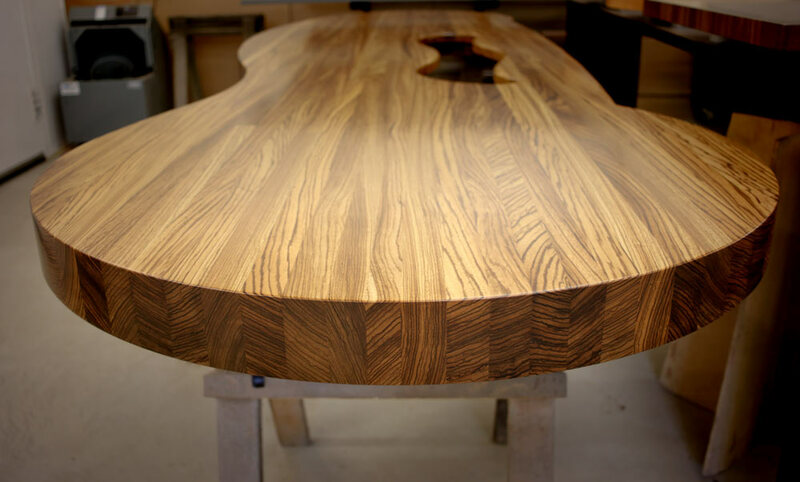 Faux live edge countertops are artisan crafted with meticulous care to look very similar to a true live edge slab. The faux live edge detailing replicates wood’s natural contours. Given its handmade and hand-finished nature, each countertop is unique and no two are exactly alike. A Tigerwood countertop was designed by Brooke Eversoll CKBD for S & W Kitchens Inc. featuring a faux live edge along the front. The faux live edge draws attention and visual interest, creating a gathering spot for family and friends. Scott Haig, CKD and Co-Designer Randy Godeau of Bay Area Kitchens designed this kitchen to feature two Walnut countertops with faux live edges. One countertop was designed for the end of the kitchen island. 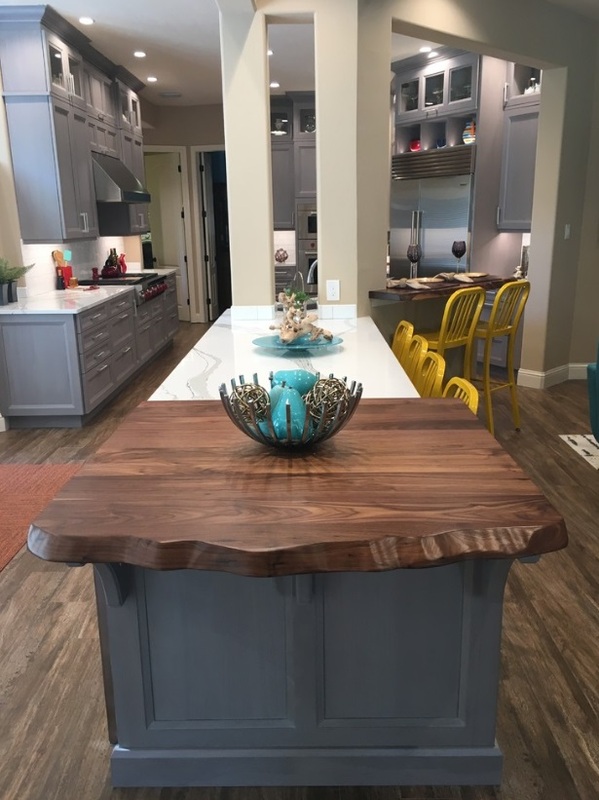 The faux live edge runs along an arc, serving as an astonishing finishing point to this long kitchen island end. It also serves as a place to display décor, food and beverages for entertaining and more. The second countertop is at the other end of the kitchen island, which was designed for a raised bar seating area. The faux live edge was designed for the edge facing the guests seated at the bar. 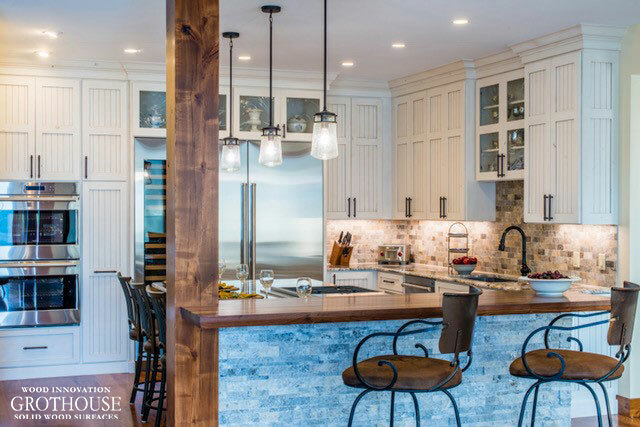 Both ends of this island are complete with faux live edge countertops, creating an extraordinary balance in this uniquely shaped kitchen. Visit the Grothouse Countertop Image Library to see more designs with Faux Live Edge Countertops. See more wood innovations by following @grothouseinc on Instagram and liking Grothouse on Facebook! Drop Leaf Wood Countertops are the perfect way to incorporate additional counter space when you want, and additional kitchen space otherwise. Wood countertops featuring drop leaf ends are perfect for small spaces, but can be incorporated into larger kitchens as well. Archipelago Hawaii designed this transitional kitchen to include a Walnut with Sapwood Drop Leaf countertop on the end of the kitchen island. The drop leaf adds seating space and additional food preparation space if needed. Griffey Remodeling designed Maple Wood countertops for this small kitchen in Columbus, Ohio. The section to the right of the stove features a Drop Leaf End. 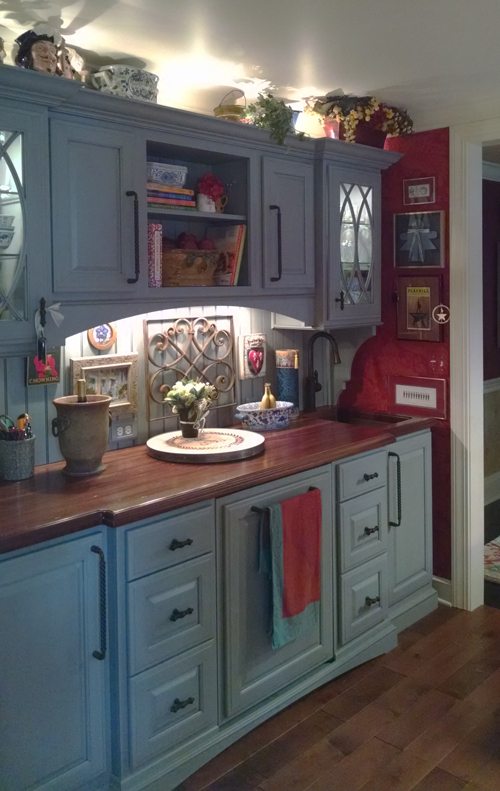 This creates more counter space when needed, while still allowing room to get to the door next to the cabinets. Visit the Countertop Image Library to see more kitchen designs with Drop Leaf Wood Countertops. Round Kitchen Counter Corners are an easy way to make your design unique, add a sense of smoothness to your space. In addition, they make the counter safe for families with young children in the kitchen. Round corners can be achieved by designing a counter with a round shape, such as a circle, oval or with an arc or curve. Another way round corners can be achieved is by selecting a round edge profile for the top horizontal edges, bottom horizontal edges and vertical corners. The roundest edge profiles available at Grothouse include: ½” Roundover, ¾” Roundover, 1” Roundover, 1 ½” Roundover and Full Bullnose. 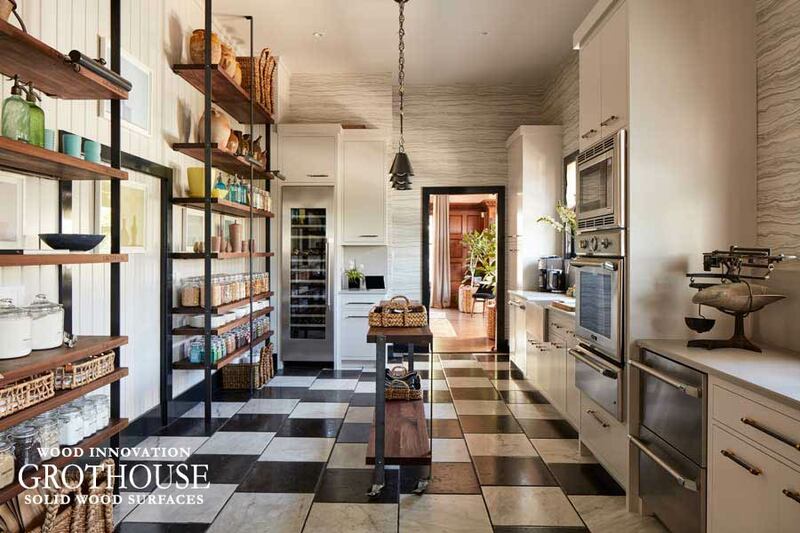 The designers of these kitchens found creative ways to ease the transition from counter to walking zone. It’s pretty standard for kitchen island cabinets to run in a straight line. But sometimes, that isn’t the smoothest route. 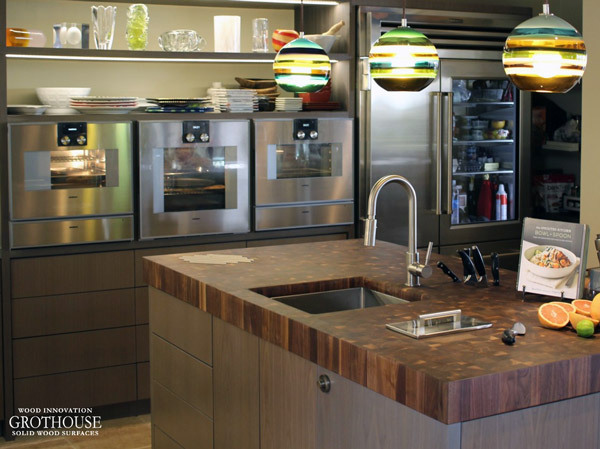 These two kitchens employ clever usage of wood island countertops with round corners. Though the solutions vary, each makes the nearby passageway feel a little more smooth. Could this be a solution for your kitchen? Haile Kitchen & Bath designed this transitional kitchen. 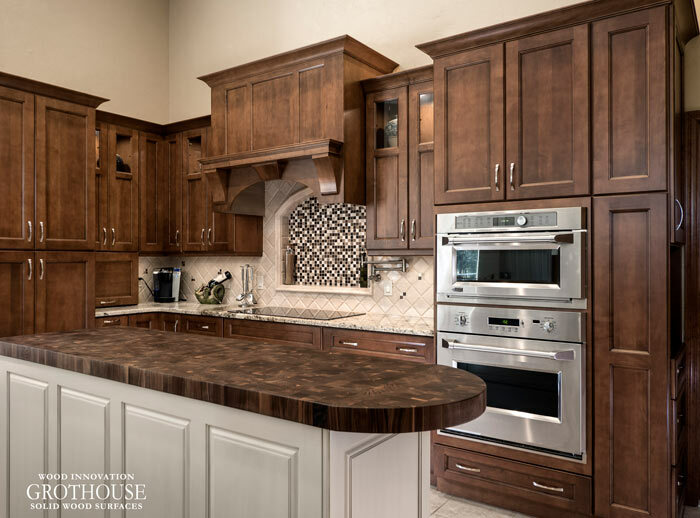 Its large island features a Walnut end grain butcher block with an arched end. The edge profile selected for this design is an 1/8″ Roundover on the top horizontal edges and bottom horizontal edges. Kitchen counters with round corners are perfect for dining tables, like this one designed by Wendy Danziger of Danziger Design. This Peruvian Walnut edge grain wood countertop features a 1/8″ Roundover edge profile on the top horizontal edges and bottom horizontal edges. Click here to learn more about this countertop design. 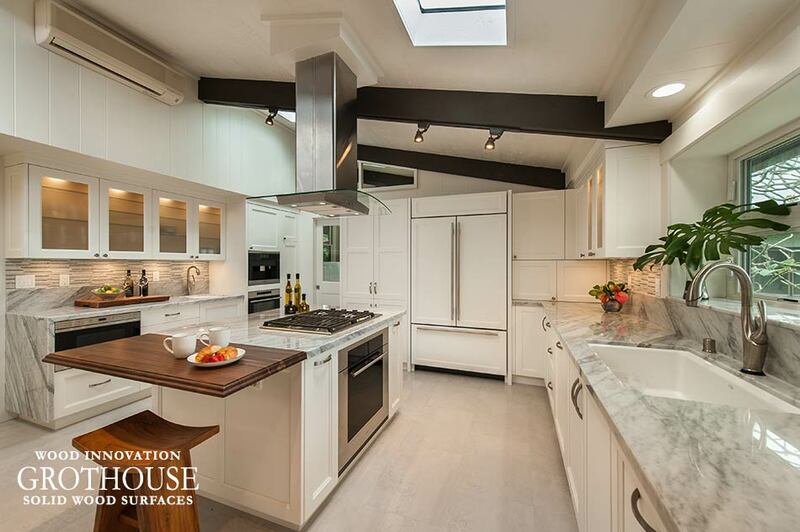 Visit the Grothouse Countertop Image Library to see more designs with round kitchen counter corners. 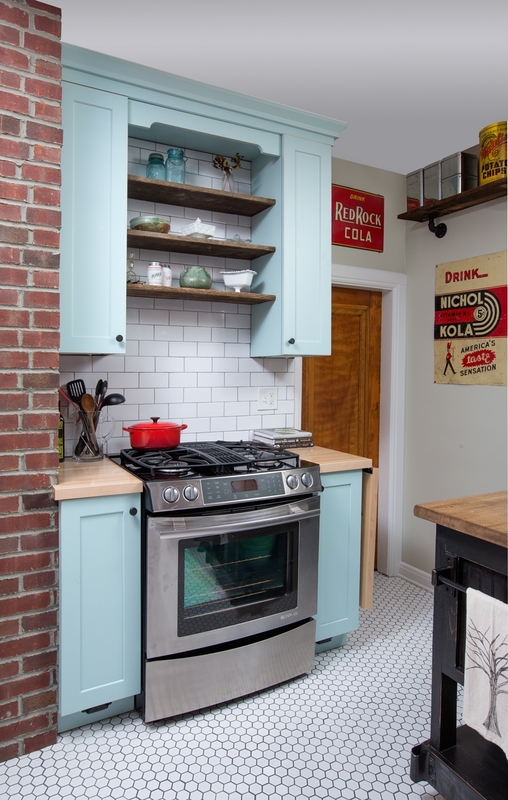 Butcher block knife slots are a popular feature selected for kitchen counters. 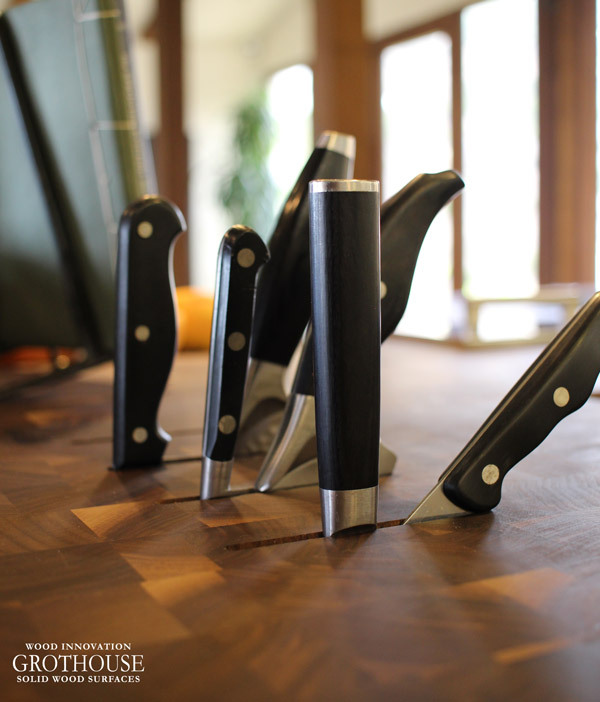 Knife slots are built-in knife storage custom crafted into a wood butcher block countertop. 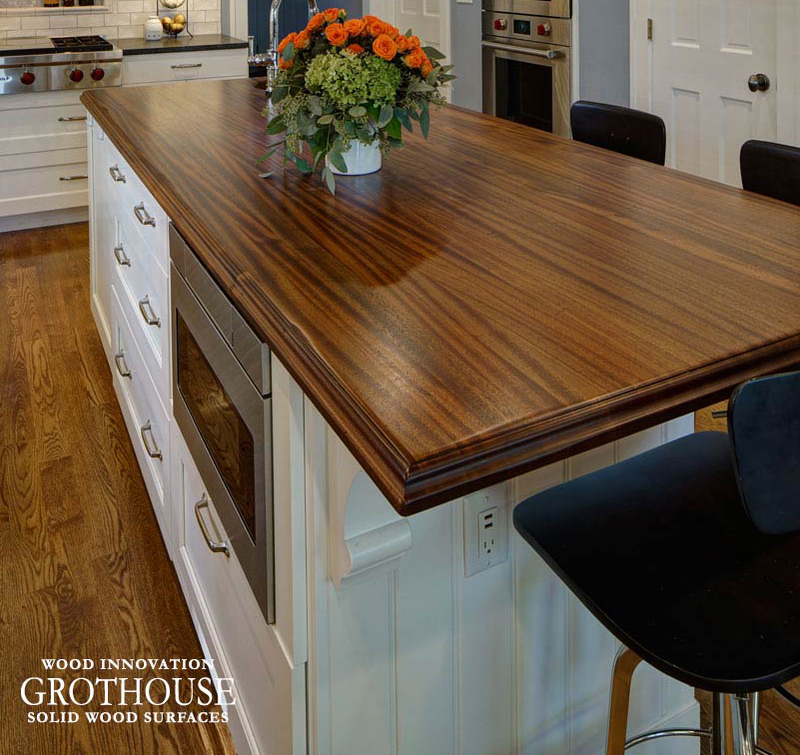 The term “butcher block” is used by Grothouse when referring to wood countertops built in end grain construction style. 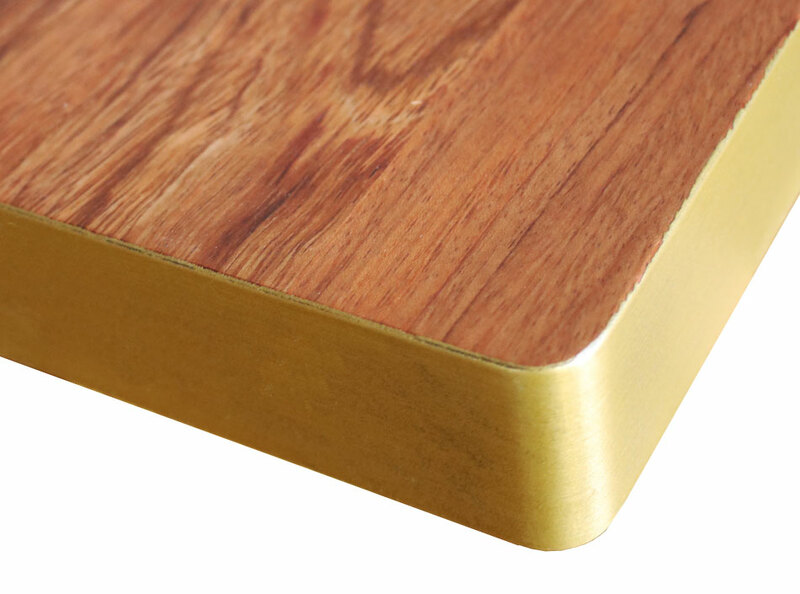 End grain is the premium construction style and our recommended surface for food preparation. Knives stay sharper longer when used on butcher blocks because the knife blades slide between the wood fibers, much like cutting into a firm brush. An additional benefit is that butcher blocks don’t show knife marks as readily as wood countertops crafted in edge grain or flat grain construction. Knife slots can be integrated into a butcher block crafted out of any wood specie available at Grothouse. Knife slots free counter space by eliminating the need for a knife block. They are designed so that knives are easily accessible, but also safely tucked away so that young children cannot reach them. Knife slots take many different forms, from a single slot to a series of slots that fit different size knives. Knife slots designed to be one long singular slot are more universal, as they fit different size knives. Designing butcher blocks with knife slots of different sizes may be a problem if you change your knife set in the future. Removable knife slots are also available and can be replaced with another piece when you update your knife set. Cabinets Plus designed a Random Mix Walnut with Sapwood butcher block to include knife slots. The knife slots were cleverly placed behind the sink, making the knives easily accessible but also out of the way as to not interrupt the food prep space. 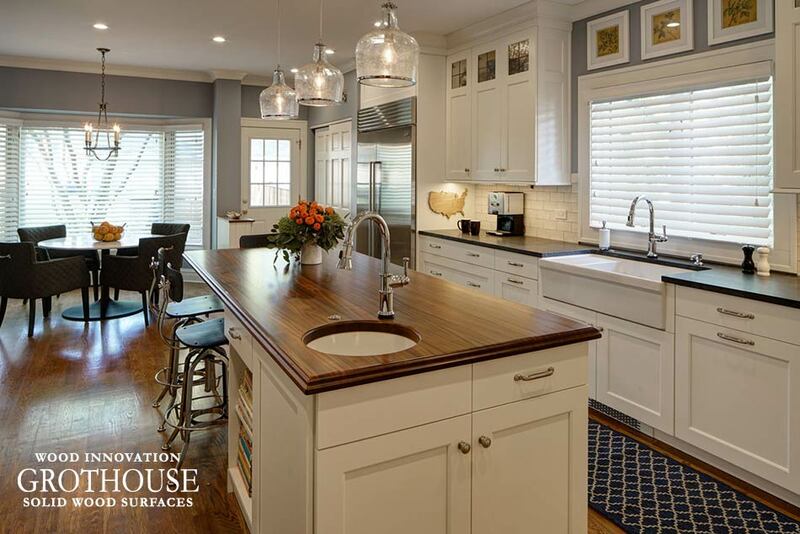 Visit the Grothouse Image Library and follow @grothouseinc on Instagram to see more designs with butcher block knife slots. 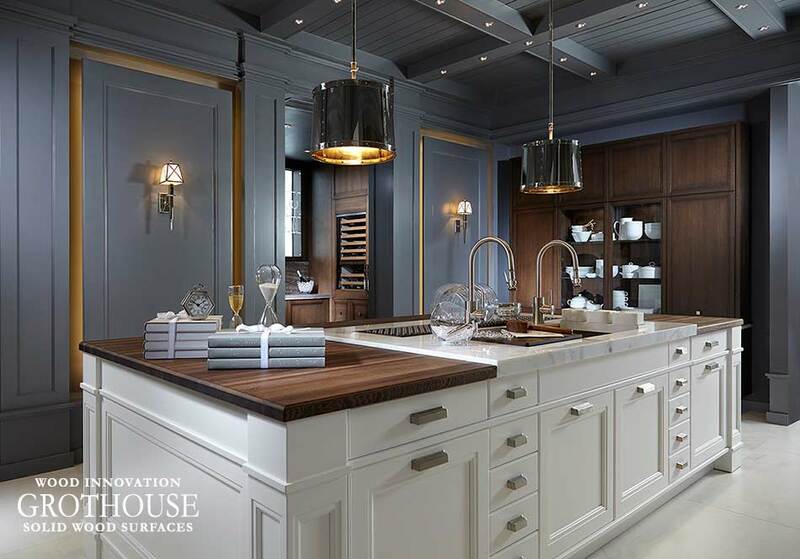 Wood is the 1 ingredient that will transform your space, states Mitchell Parker of Houzz in his article The 1 Ingredient That Will Transform Your Kitchen or Bath. And of course, we couldn’t agree more! Our favorite application of wood is in the form of countertops, but it can also be used in many different ways to revamp and warm up a space. Wrapping your kitchen island cabinetry adds warmth to the space while also visually making the piece the focal point of the space. Designed by Todd Wiley, Tru Kitchens, designed this transitional space to have a kitchen island wrapped in Walnut. 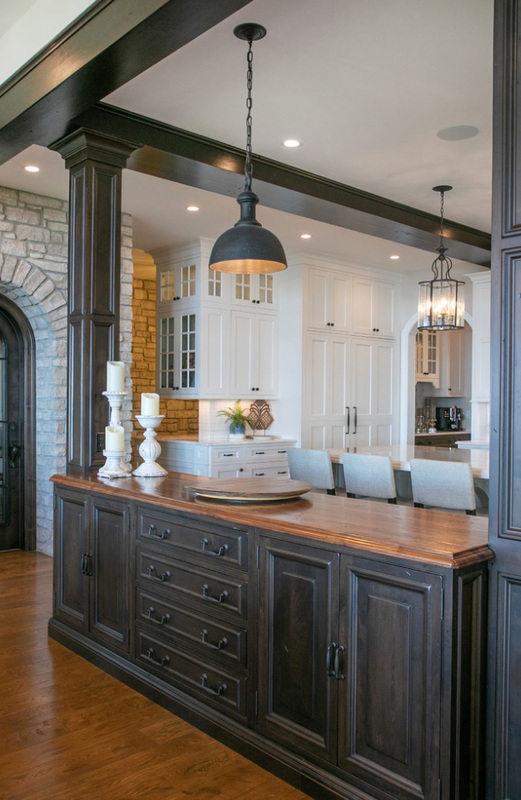 A Walnut kitchen bar top matches the island and provides a seating area. Incorporating a cool wall niche into a space creates a cozy and unique area. 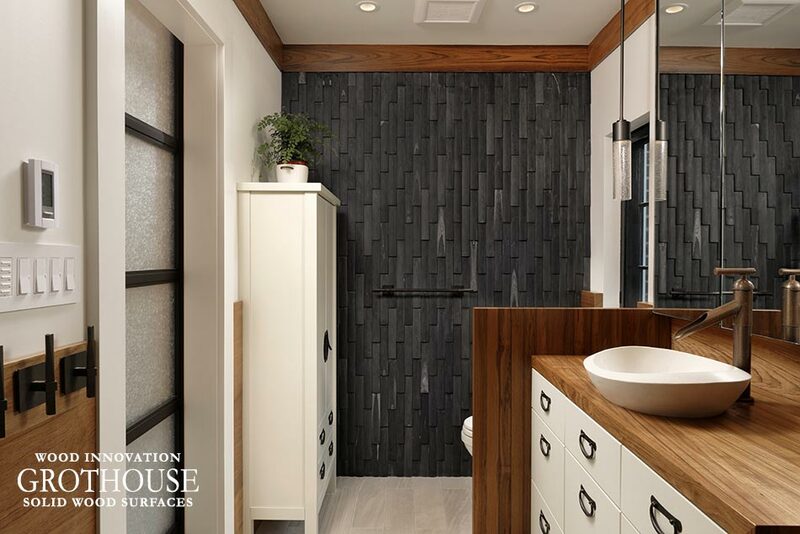 Jennifer Gilmer Kitchen & Bath designed this Asian-inspired bathroom with a custom Teak wall to match the vanity top and bath tub and add a level of privacy. Open shelves expose the American Black Walnut in this kitchen design by Jon de la Cruz for House Beautiful magazine’s Kitchen of the Year 2017. Weaving in wooden accents is a relatively quick and easy way to add warmth and these ceiling-high pantry shelves do just that. 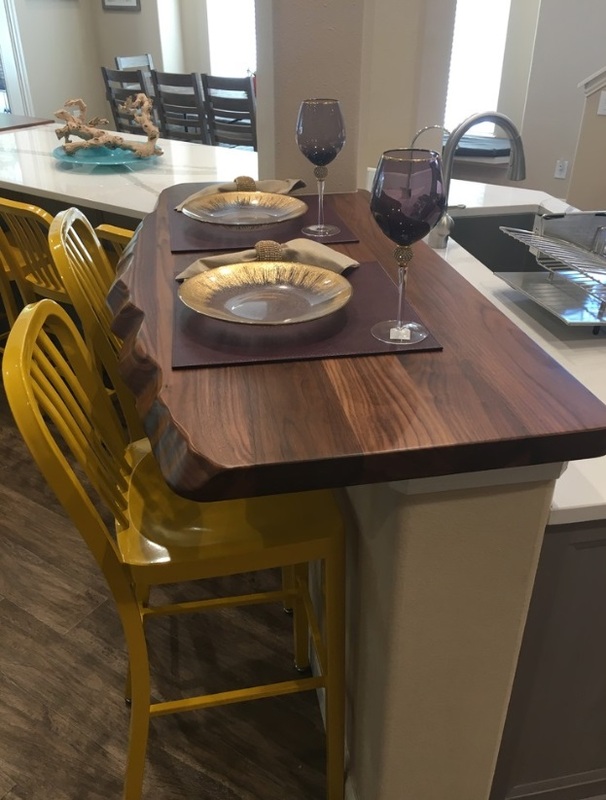 Kitchenscapes incorporated a support column into the design by wrapping it in Walnut to match the custom walnut countertop on the bar. There are many different ways to incorporate wood into a design to completely transform the space. Whether it is intending to add warmth, storage or a unique niche, wood is a versatile material that is used to transform any space. See more designs by visiting the Grothouse Countertop Image Library and by liking Grothouse on Facebook. Anvil™ Metal Countertop Accents are becoming increasingly popular in today’s luxury kitchens, baths and entertainment spaces. Metal accents take many different forms at Grothouse, like edging, rivets, and more. The design opportunities are limitless. The most common accent design is edging. Accents can be finished in any of the eight Anvil™ metal coating colors available: Axel, Kratos, Ferrum, Medallion, Exodus, Magnum, Palladium and Argentum. Chosen for its lustrous, brassy radiance, the most popular accent color is Magnum. 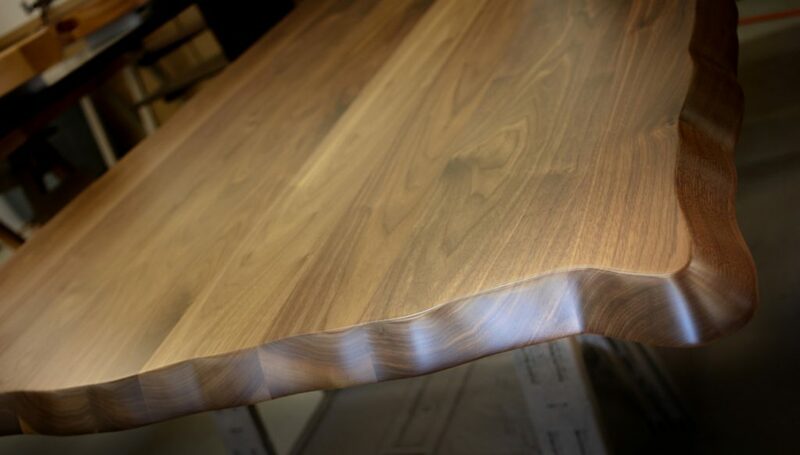 Matthew Quinn designed the custom Walnut wood table pictured above to feature a Magnum metal band along the table top and along the table base. 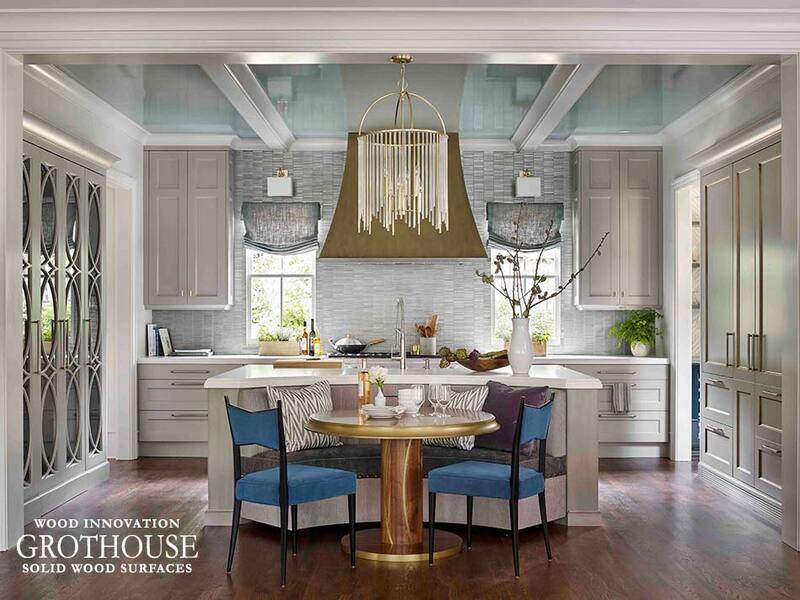 This table was designed for House Beautiful’s Kitchen of the Year 2016. Audrey Newman of JW Kitchens designed a custom Sapele Mahogany bar top with Palladium metal finished edges. Palladium gleams like white gold and adds a special touch to the bar top, making it stand out against the dark cabinetry. Click here to learn more about Anvil™ metal finishes exclusively available at Grothouse. Visit the countertop image library to see more designs with Anvil™ metal countertop accents. 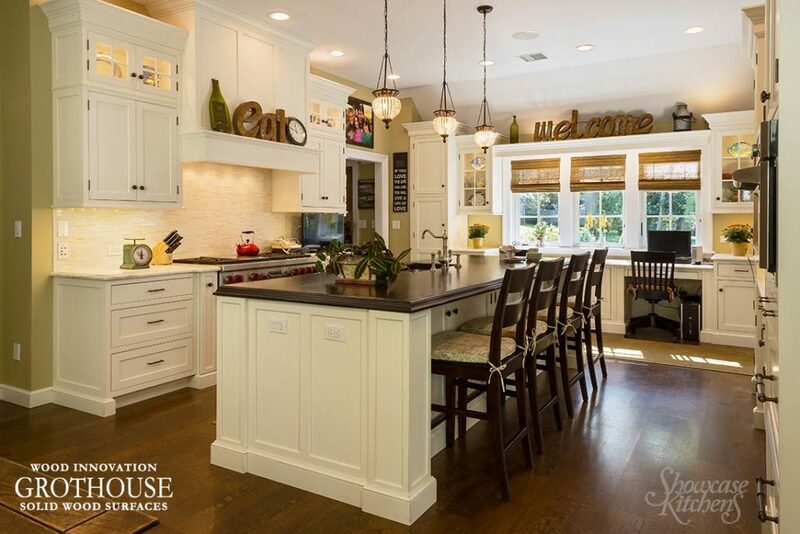 As the hub of the kitchen, your island is a prep station, gathering spot and dining area. Why not make it a statement piece too? Distressed solid wood island countertops can be custom crafted to make a statement in any style kitchen. Any wood specie crafted in Flat Grain or Edge Grain construction style can be distressed. Distressed countertops can be adorned with any edge profile and include any features. Grothouse requires approval of a distressed sample prior to production to achieve the correct level of distressing. 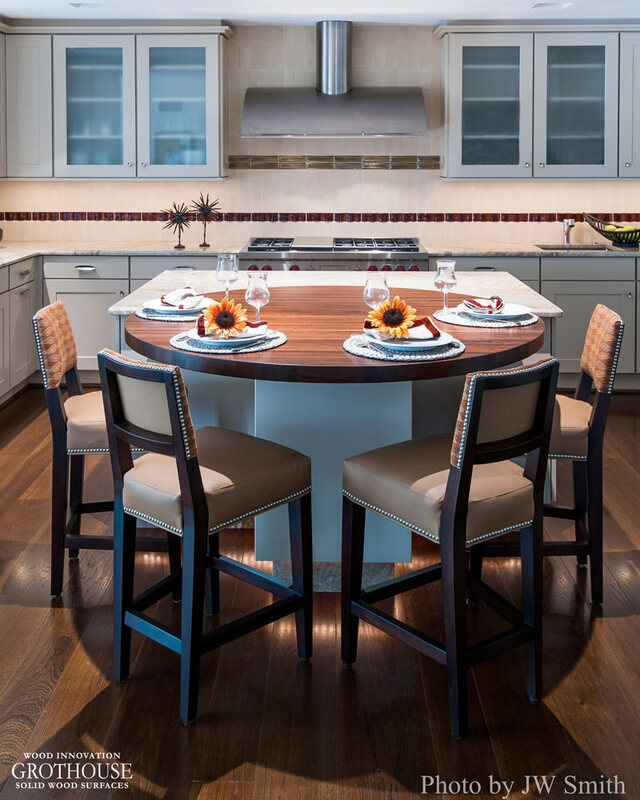 Pictured below, Diana Burton of Drury Design Kitchen & Bath Studio designed a Sapele Mahogany edge grain wood countertop for this white kitchen island. The countertop is distressed to level 4 and finished with a hand rubbed black glaze to accentuate the distressing. A small undermount sink was placed in the corner of the countertop, with an overhang on the opposite end for seating. Showcase Kitchens designed a Walnut with Sapwood counter crafted in Flat Grain construction for the traditional white kitchen pictured below. 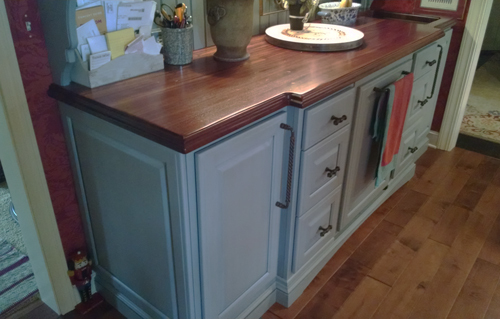 The counter was super distressed and features the Grothouse Jericho Stock Stain (#04915). 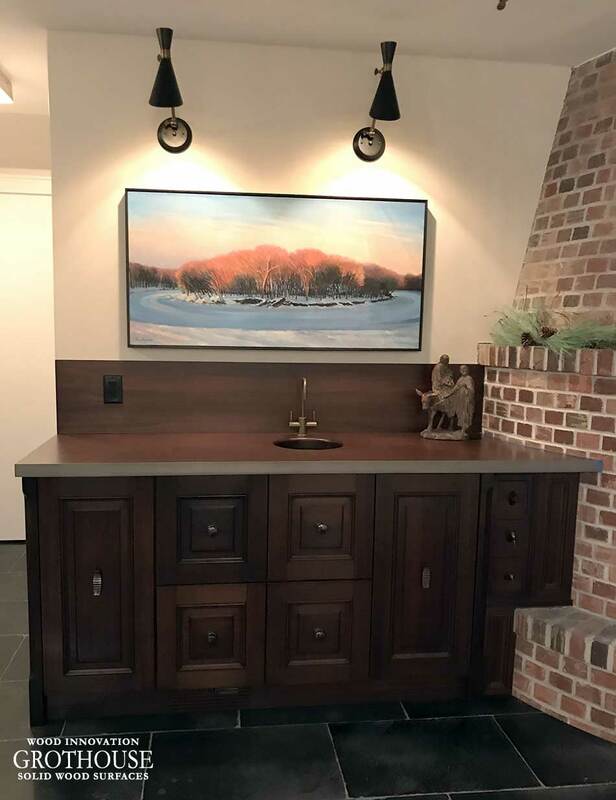 Chip Tiber, CKD, NCDIQ, of Studio 76 Kitchens & Baths designed a Walnut with Sapwood counter crafted in Flat Grain construction. Distressed to level 4 and finished with a hand rubbed black glaze, this counter makes the island the statement center piece of this modern farmhouse kitchen. 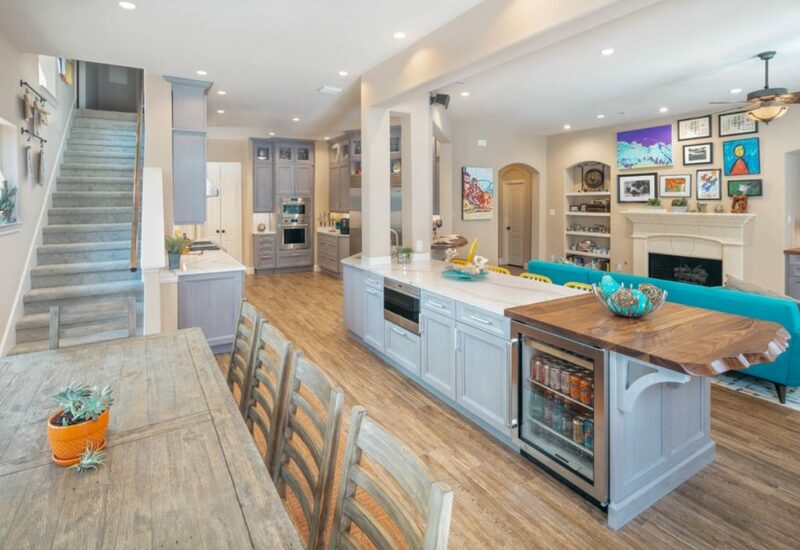 Want to see more kitchen designs with distressed solid wood island countertops? Follow us on Instagram and like us on Facebook! We offer wood countertop templating and installation services for our products in PA, CT, MA, RI, DC, MD, VA, NJ, NY with our own in-house professionals. © copyright Grothouse. All Rights Reserved. 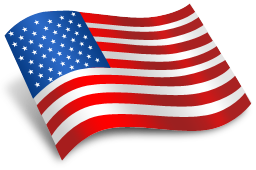 Use of any content and/or imagery contained on this web site without express written permission is prohibited.